Porsche has added a new bodystyle to its Panamera range, revealing the more spacious Sport Turismo. Making its world debut at the Geneva Motor Show, the new model is based on the sports saloon, yet is more versatile. With a large tailgate, low loading edge, increased luggage compartment volume and a 4+1 seating concept, the new Panamera model offers ‘the perfect combination of everyday usability and maximum flexibility’ says Porsche. The raised roof line of the allows for easier entry and exit at the rear of the vehicle and ensures greater head clearance. The usability of the luggage compartment benefits from the wide opening tailgate, which is electrically operated as standard, and a loading edge height of 628 millimetres. Measured to the upper edge of the rear seats, the up to 520-litre storage capacity of the Sport Turismo (Panamera 4 E-Hybrid Sport Turismo: 425 litres) betters that of the sports saloon by 20 litres. When loaded up to roof level and with the rear seats folded down, the gains amount to around 50 litres. 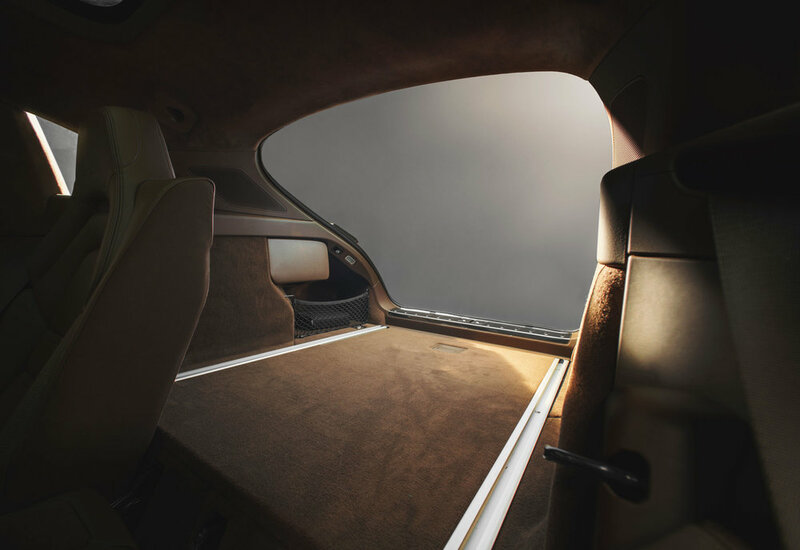 The backrests of the three rear seats can be folded down together or individually (in a 40:20:40 split) and are unlocked electrically from the luggage compartment. When all of the backrests are folded down, the loading floor is described as virtually level. In this case, the storage volume is expanded to up to 1,390 litres (Panamera 4 E-Hybrid Sport Turismo: 1,295 litres). The new model will be available with five engines borrowed from the sports saloon, with the Sport Turismo offering up to 550 hp. Utilising all the innovations introduced in the new Panamera model line launched last year, including the digital Porsche Advanced Cockpit, assistance systems such as Porsche InnoDrive with adaptive cruise control - all Panamera Sport Turismo vehicles are equipped with Porsche Traction Management (PTM) – an active all-wheel drive system with electronically controlled multi-plate clutch – as standard. As of the S models, adaptive air suspension with three-chamber technology is also supplied as standard. 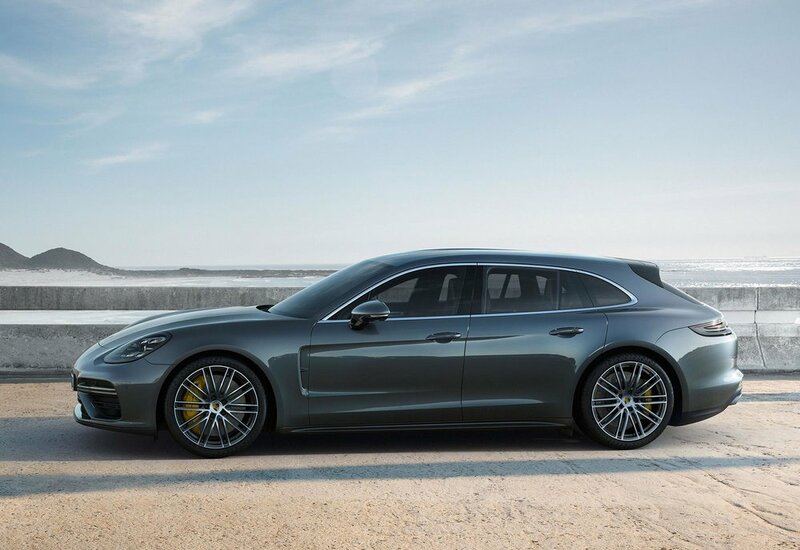 Other features from the Panamera range include chassis systems such as rear axle steering and the Porsche Dynamic Chassis Control (PDCC Sport) electronic roll stabilisation system. The angle of the roof spoiler is set in three stages depending on the driving situation and selected vehicle settings, and generates an additional downforce of up to 50 kg on the rear axle. Up to a speed of 105mph, the aerodynamic guide element – a central system component of the Porsche Active Aerodynamics (PAA) – stays in its retracted position with an angle of minus seven degrees, which reduces drag and thus optimises fuel consumption. Over 105mph, the roof spoiler automatically moves to the performance position with an angle of plus one degree, thereby increasing driving stability and lateral dynamics. When in the Sport and Sport Plus driving modes, the roof spoiler automatically moves to the performance position at speeds of 55mph upwards. The new model is the first Panamera to feature three rear seats. The two out-side seats take the form of individual seats – thereby producing a 2+1 con-figuration at the rear. As an option, the car is also available in a four-seat configuration with two electrically adjustable individual seats at the rear. The new Porsche Panamera Sport Turismo is available to order now. The European market launch is scheduled for October 7, 2017, with the other markets following in early November.